WE ARE A FRESH FOOD CATERER. WE AIM TO STOP FOOD POVERTY. Hello, and welcome to the Can Cook website..
We are a fresh food business, providing catering services services to nurseries and early years settings, schools and residential homes throughout Merseyside. With a wide range of delicious meals to choose from, we take pride in providing catering services that only use good, fresh ingredients – free from artificial additives and preservatives. In addition to providing delicious, fresh meals, packed full of goodness and nutrition, we use ingredients from local producers where possible, pay all of our staff a minimum of Real Living Wage, and use every single sale we make to fight food poverty, right here in Merseyside through our Share Your Lunch campaign. When you buy delicious food from us, you help to provide the same food to families in need across the Liverpool City Region. Find out more about how we cater for..
COOKED was developed by Can Cook to offer a high quality, fresh food catering service to schools, nurseries, care homes and individuals in their own homes across Merseyside. Our delicious fresh meals are prepared by chefs in our Liverpool based kitchens, and are enjoyed by thousands of people every week, right across the Liverpool City Region. The Share Your Lunch campaign was launched in response to the growing level of food poverty in the Merseyside. Tens of thousands of people every year struggle to access food, often with no access to any fresh food at all. Share Your Lunch campaigns for better quality food aid, develops preventative solutions to food poverty, provides essential, fresh meals to thousands of hungry families every year. 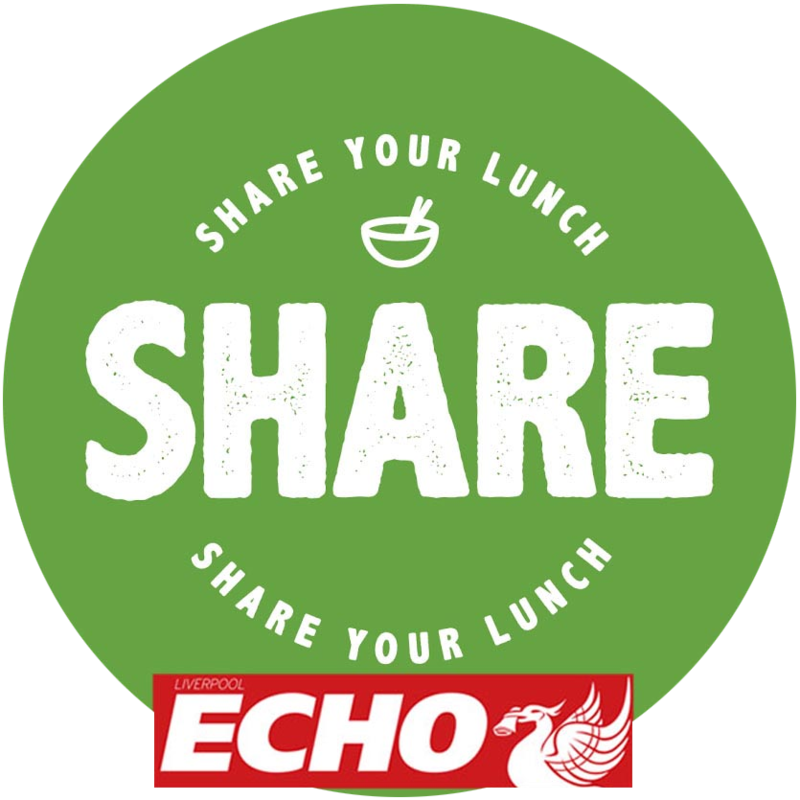 In addition to funding Share Your Lunch through our sales, we partnered with the Liverpool Echo in 2016 to raise awareness and funds, enabling us to increase awareness of hunger in Merseyside and provide food aid to thousands more people. To date we have distributed over 37,000 fresh, free meals across Merseyside. Looking for a caterer in Liverpool? Book an appointment to sample our menu today..